Do Your Feel Loved? Really Loved? When my dad started suffering from back pain, I recommended a change in his diet so that he could lose the extra pounds that were putting a strain on his spine. 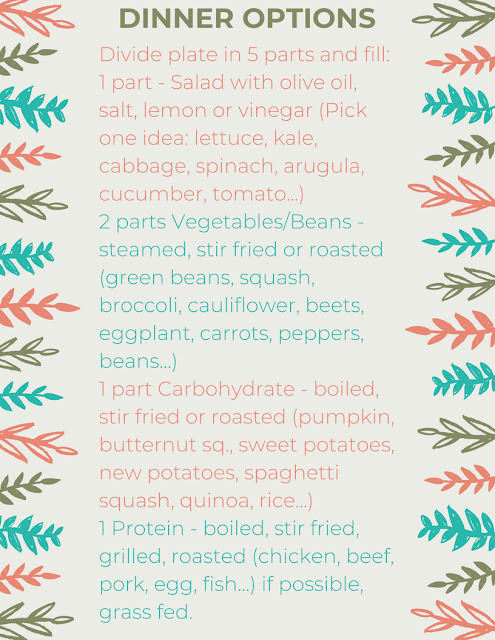 Hoping to make it easy for him, I wrote a simple eating plan, that is basically the same one I follow, to direct him in the right direction. To my surprise, he lost more weight than I ever imagined possible and besides that, he started to feel much better with the new foods he incorporated into his diet. 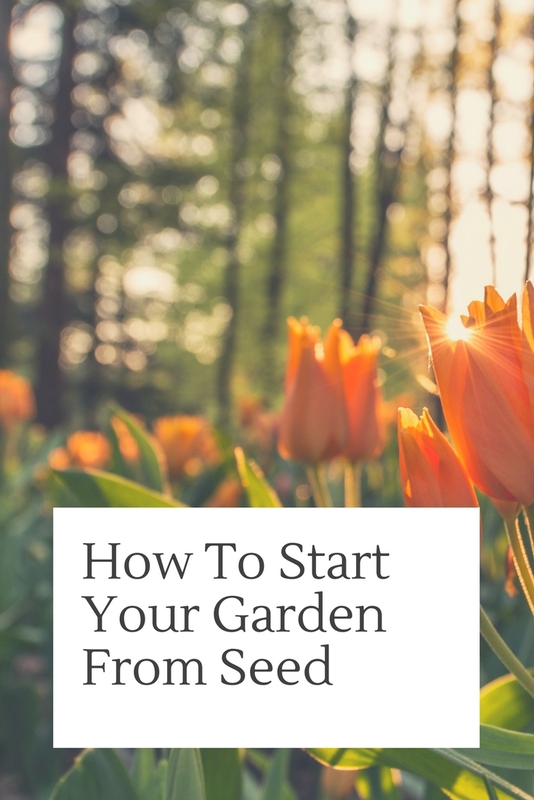 As a lot of people asked me to share what worked for him, I decided to write down in a printable format so anyone can have access to the information. 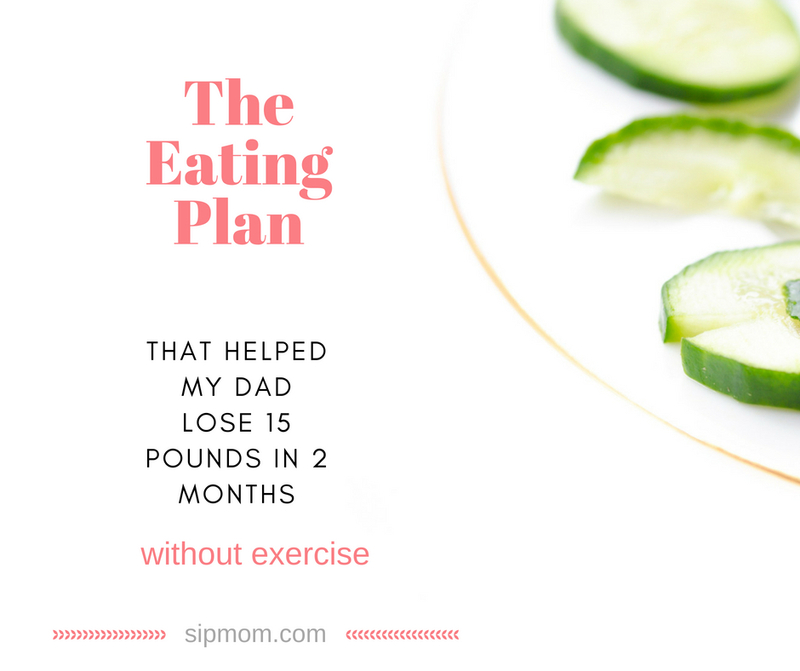 Despite the fact that my dad lost weight without exercise, as he was still recovering from his back pain, I recommend that if your doctor approves you practicing exercise, try to incorporate at least 30 minutes every day of aerobic and weightlifting routines. You will feel much better than just following a diet. Personally, I like to plan ahead and have all my exercise clothes next to my bed so that in the morning I don't have to decide if I am going to exercise or not, I just get dressed and ready to go. After I drink a cup of water to hydrate, I do 30 minutes of exercise following an exercise app, online classes or just going for a run around the neighboorhood. When you exercise on an empty stomach in the morning, your body has higher levels of testosterone so you produce more muscle and also being low on sugar, you burn more fat. The routine of having those 30 minutes every morning for exercise, even if you just spend the time stretching, creates a habit that you can follow without too much thought. The reason I personally follow this eating plan and exercise routine is not to lose weight but to keep a chronic condition I have under control. 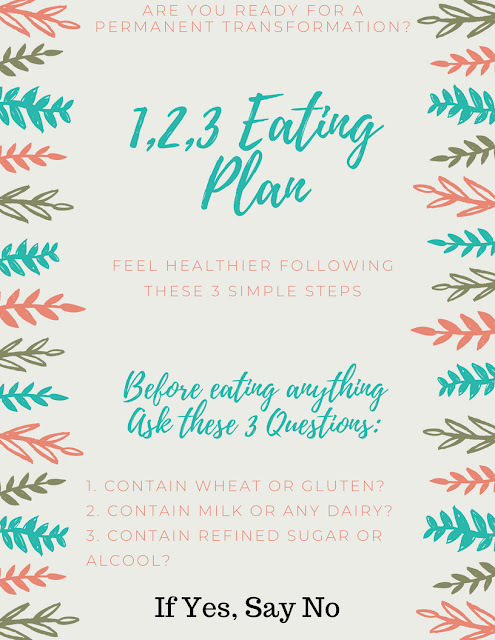 If you would like to lose some weight, or just increase your quality of life, I recommend that you follow the "1, 2, 3 Eating Plan" for a week and observe how you feel. One week is not a lot of time, but it could be the week that starts a positive change for the rest of your life. It is worthy to try! As nothing in this world is perfect, there are situations where I don't follow the "1, 2, 3 Eating Plan" completely, when I am a guest in someone's house or traveling for vacation. However, 90% of the time I follow this eating plan, because I know I feel my best when taking good care of my body. I would also like to clarify that my kids don't follow the "1, 2, 3 Eating Plan" as they don't need to lose weight or deal with a chronic condition. They eat everything I cook and have a healthy diet but don't follow any dietary restrictions. Finally, anything you eat at a restaurant is going to make it harder to control the ingredients used, the quality of seasonings and how it was prepared. So, I recommend that you cook at home as much as you can, with natural ingredients and fresh produce. If you don't have a lot of time to cook, make bigger portions and freeze the leftovers for other days. 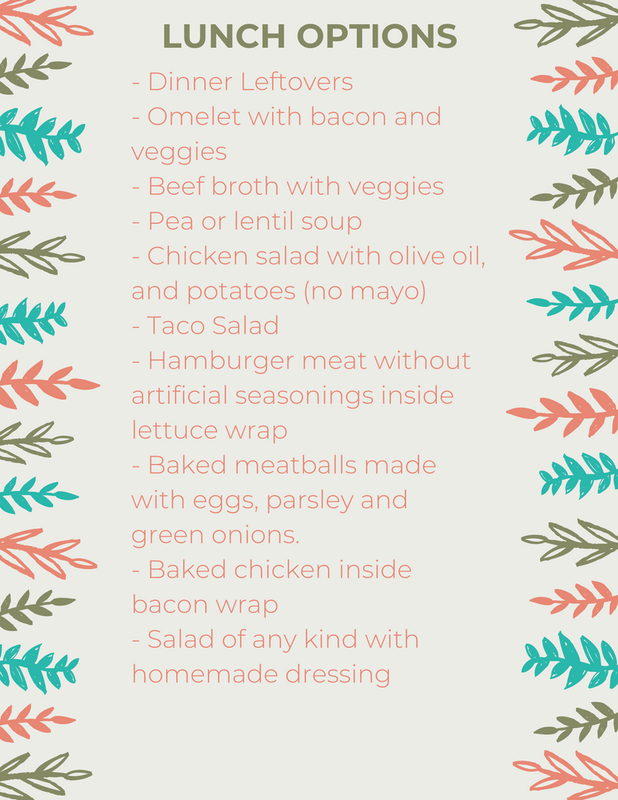 You can eat healthy without spending lots of money or be following complicated recipes. I don't make gluten-free cakes, pizzas, pies, pasta or bread. If you can buy some gluten-free and sugar-free natural product for a sporadic treat, go ahead. But you don't need any of that to eat well. After your body stops craving simple carbs like wheat, you won't miss it that much anymore. 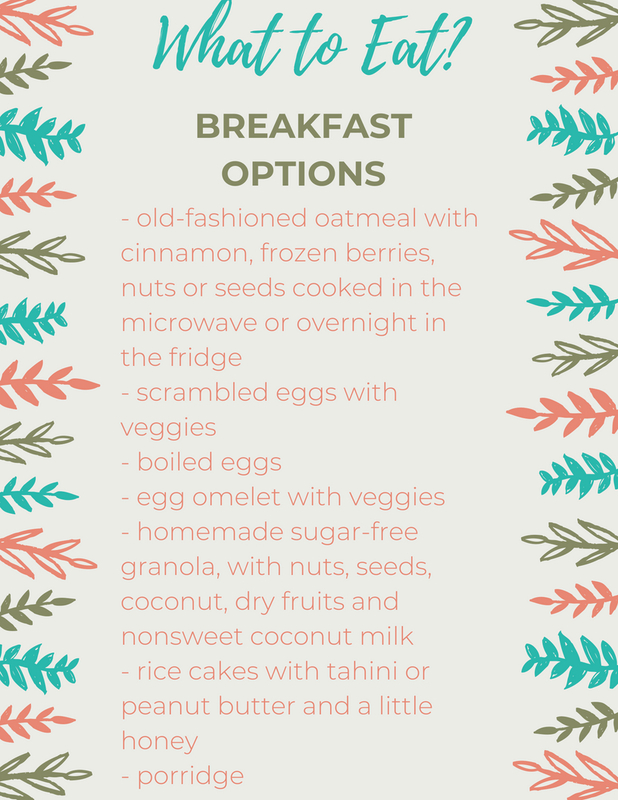 Don't forget that the "1, 2, 3 Eating Plan" will help your body and your mind have more energy and health. The focus is NOT on what you cannot eat, the focus is on the quality of life that you CAN have! 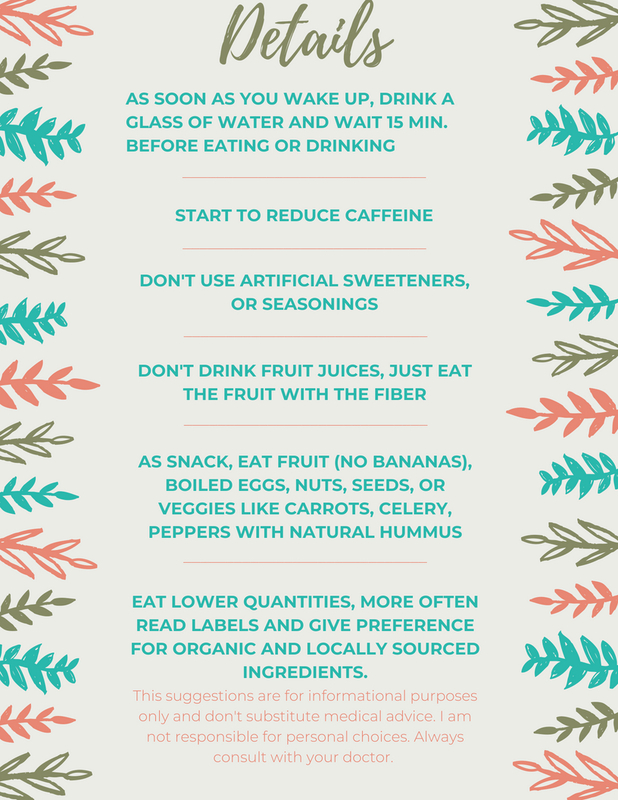 These dietary suggestions are only for informational use and they don't substitute your doctor's recommendations. Always consult with your doctor. I know this is going to be a very controversial subject, so please give me a chance to expose my different point of view. I hope it will offer more material for consideration when reasoning about it. My goal is not to make anyone feel outraged, shamed, inferior or filled with negative emotions. This post is not about how anyone feels about Harry Potter, this post is about taking a thousand steps back and looking at this issue from a very distant perspective, apart from personal emotions. Before I get into further details, I want to openly say that I love literature, books, and words. There is nothing more rewarding than when I walk through bookstores or libraries and feel right at home among book covers lining up shelves. When I was growing up, I was the kid who read all the books from the school's library (a small one,) and in my free time, I used to write stories from my imagination. So, I am not against literature, imagination or stories filled with wonder. When you look back through history, there is no difficulty in finding kids books containing magic, witches, and wizards. Thousands of children's stories contained characters who were part of such atmosphere. However, starting with Harry Potter and moving forward, there has been a slight change to the stories. This time, the witches, wizards, and magicians are going to be portrayed as friends, not the enemy. There won't be a clear separation anymore between good and evil, dark and light, helpers and enemies. Can you see the twist? Dragons used to be monsters who ate sailors, now they are our kid's best friends. Monsters were kept away from the bedroom at night, now they are welcomed in. Witches wanted to eat the children, now they want to transform our kids into their apprentices. Dark is light, evil is good and enemies are helpers. No wonder our kids are so confused! The change is not an accident in the literature world or a bigger amount of writers being inspired to dare to be different. This slight twist has a purpose, a very wicked one. Because once the truth is relative, and there is no difference between good and evil, then the existence of a good God is relative, and the existence of an evil Devil is relative, and our children are free to follow whoever they want. Now, I have heard some dispute saying there is a lot of cuteness to these book's characters, they are not doing real witchcraft and they even teach good life lessons about acceptance, friendship and conquering challenges. I have to agree that it does not look dark at first, but that is exactly the point. Make it fun, interesting and captivating and kids will follow. I know what real witchcraft looks like. Growing up in Brazil, across the street from us, lived a witch. Yes, a real one. Many times we could see on the empty lot across the street chicken carcasses surrounded by candles, leftovers of the night sacrifices. Years before that, when I was a baby, my family lived in a town of witches and wizards. The most magic city in my entire country, filled with alternative gods and goddess, and everything in between. Last time I visited my first home, there was an altar built outside by the new owners for night offerings. You see, there are a lot of places in the world where kids don't need to go to Universal Studios to see wizards and witches, they live right across the street from them, and the kids know there is a big difference between good and evil. Unless we tell them otherwise. 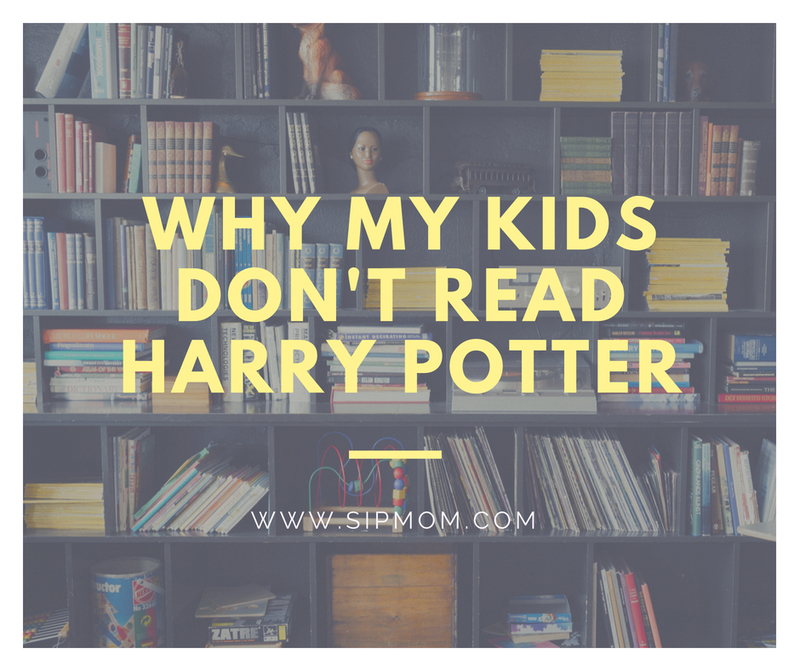 My kids don't ask to read Harry Potter because they understand the "why" behind the "what". They know that it is not about books, characters or entertainment. It is about establishing clear boundaries between following the light or following the darkness. Because there is no path in the between. However you feel about this subject, take some time to think about it. Start to notice the twist, you will see it everywhere. You know what is the most amazing thing about getting closer to forty years than to twenty? You get to keep your acne while at the same time developing wrinkles! The joy of keeping one foot in your teens and another dabbling in your future! Talk about perspective! Well, that would be great if it did not involve your face! That same one that welcomes you in the mirror every morning, before you apply 3 layers of makeup and 2 layers of digital filters. The truth has a way of staring you in the face, every single morning, a little reminder that our true beauty must lay inside, in case we forget it! 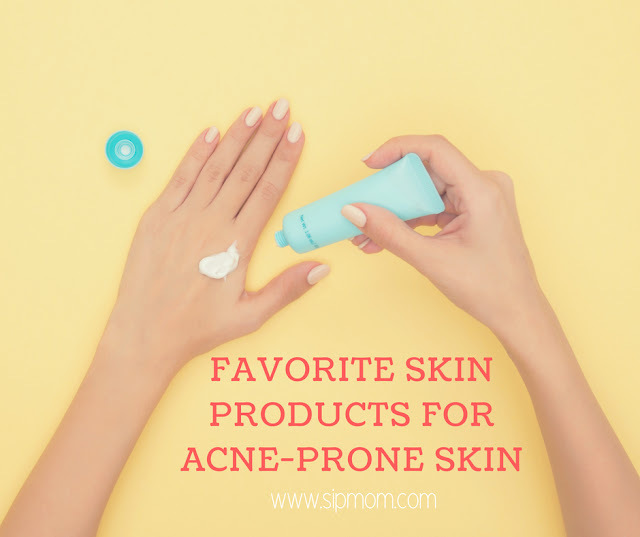 Back to practical matters, not trying to reach perfection, just smoother surfaces, I have tried a few too many skin products and found a few favorites for this season of my life. 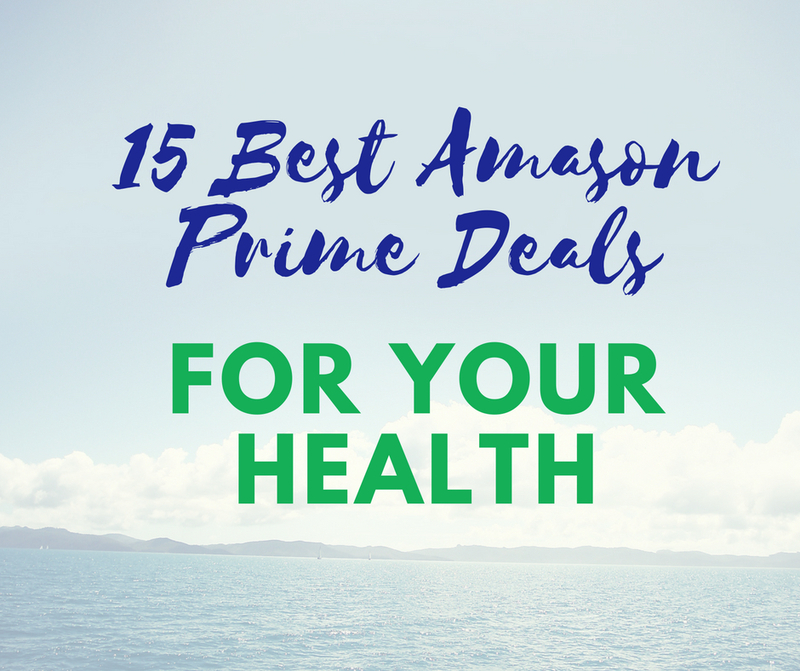 Maybe one of my suggestions will also help you find that almost miracle product that you have been looking for! Or maybe not. Apple Cider Vinegar - In case you wondered if you had to sell your car to afford a smoother skin let's start with the most economical option. Just mix some apple cider vinegar with water and you got an amazing toner to apply to your skin after cleansing your face at the end of the day. Really, try it, it is great and does wonders! You may smell like a salad but it is a small price to pay and no dangerous chemicals here. I like this one that is organic. Pure Calcium Bentonite Clay Powder - You can eat this stuff, really, I have done once in a while mixed with water, but it is great for a fancy relaxing evening face mask. Just mix a little clay powder with apple cider vinegar and make a smooth paste. Don't use any metal tools when preparing this, just a wooden spatula to spread on your face. It feels so good and cooling and refreshing and tightening! 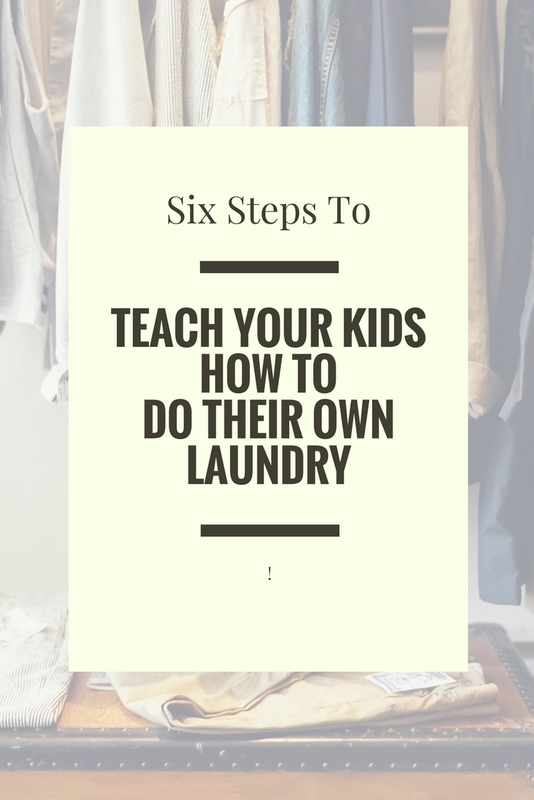 After it dries out, wash it out, without clogging your sink (!) and go to sleep. Next morning your skin will be glowing! I like to get wet paper towels and spread over my face after the clay is dry so it gets wet again and I can wipe it off and throw then in the garbage, instead of down the drain. Your skin will look very red when you remove the clay but that is not a bad sign, just the clay doing its work. Kinara Red Carpet Facial Kit - This one is the opposite of the Apple Cider Vinegar, because for this one you may have to sell a piece of furniture to afford it! It used to be cheaper when I got it, but it does last almost a year if you do every other week. And it gives you about the same results as going for an expensive facial, it really does! Your face will be glowing next day! So if you think of this one as a facial, then it is much cheaper than any facial out there. If I have any special event to go, this is my go-to for a next day perfect skin. Deep Cleaning Oil - Who knew that you don't have to wash your face with soap to clean it!? I love this oil, it melts down all makeup and cleans the skin without stripping its natural oils. Sometimes I also use a gentle liquid soap after this one, but it helps the skin regulate its natural barriers. 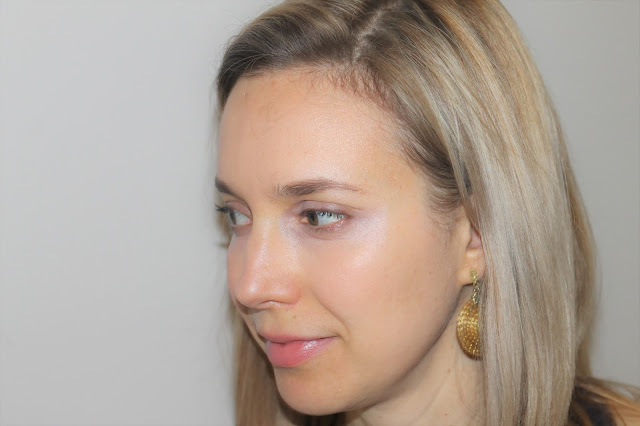 Josie Maran Argan Daily Moisturizer SPF 47 - I don't like to wear foundation or heavy makeup, so this is three steps in one: moisturizes, adds some coverage with a tint and provides sun protection! My last bottle lasted forever!! I got a new one and noticed that it is a little different, but still as good. The ingredients are mostly natural and it is also good for sensitive skin. Olive Leaf Extract - Amazing for so many things that you may as well take it every day! It reverses skin damage, eliminates toxins and may protect against skin cancer. I find that it helps with acne too. Hum Daily Cleanse - I have recently started taking this one. I love that it gently detox the liver and the skin at the same time. I read lots of good reviews about this one, and you also get zinc and selenium from it, great for treating acne and decreasing inflammation. Collagen Peptides - It may be the new health trend out there, but I have noticed gains all over my body by adding this powder to my daily protein drink. It has no taste so you can mix in with anything. Now, if you are looking for ways to reduce wrinkles I highly recommend cutting sugar and refined carbs from your diet. Sugar damages elastin and collagen, making your skin look older. One month without sugar will do more good for your skin than any expensive wrinkle product. Remember that alcohol is also not skin friendly, so less is more. 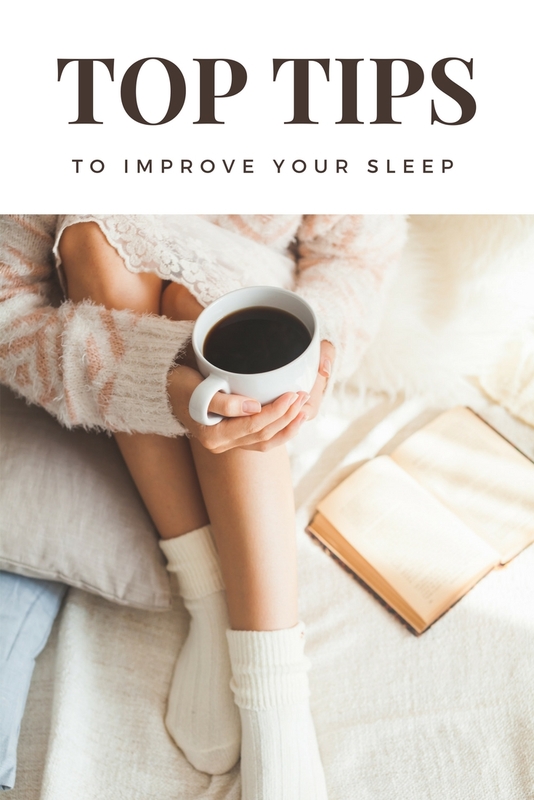 Now, my skin is not perfect and I still struggle with bad skin days, which also has to do with hormonal cycles, but thankfully there are concrete ways to wake up to a smoother face welcoming me in the morning! What are your secret products for acne-prone skin?